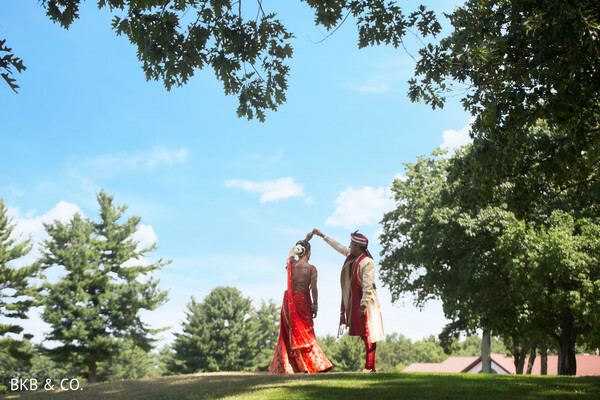 There’s a spring in our step after reliving Kiran and Gopal’s breezy and beautiful Indian wedding in Massachusetts. 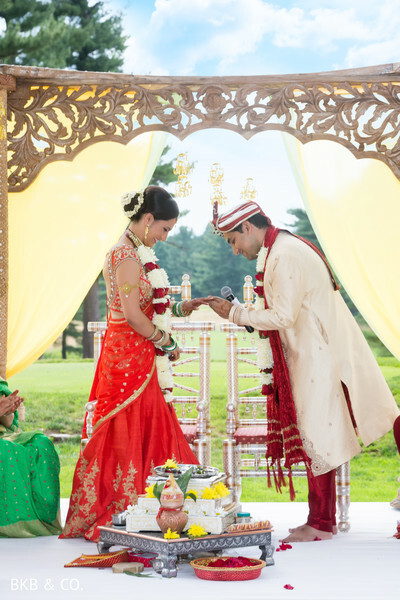 The dashing duo were married on the outdoor grounds of The International Golf Club and Resort, which was prettied up by Alankar Decors and Blueprint Occasions with a majestic mandap draped in bright yellow hues. 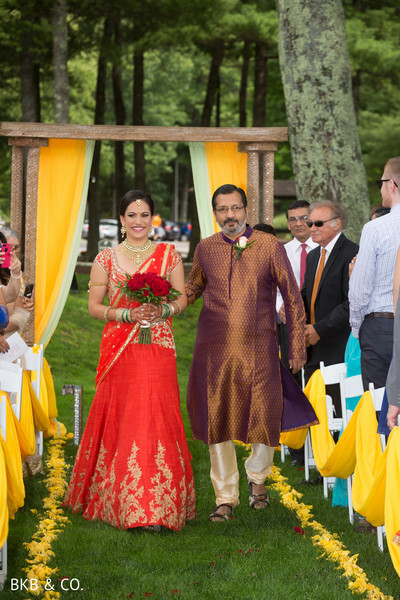 With sunshine streaming down to further jazz up the proceedings, this ceremony was surrounded by so much cheer! 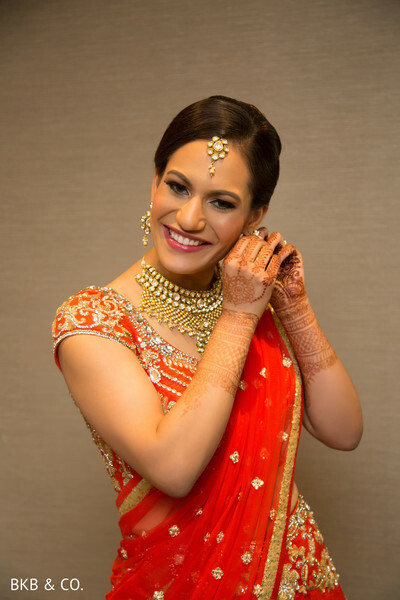 Adding to the beauty was Maharani Kiran, who was a stunning goddess in her lipstick red lehenga. She chose a fashion forward, understated design, containing delicate hints of embroidery. 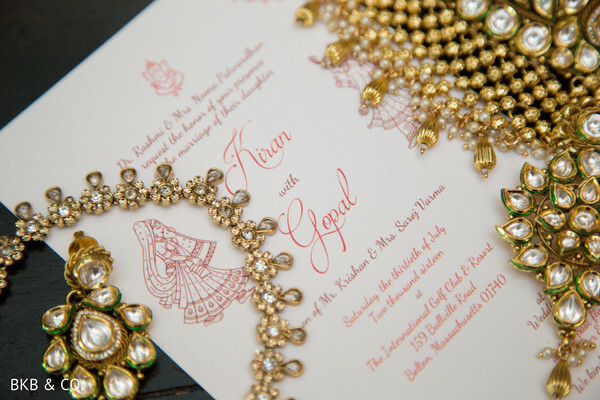 She adorned herself in dazzling accessories, such a glittering choker and arm cuff that only enhanced her glow. Meanwhile, Gopal was dancing up a storm in his spirited baraat. 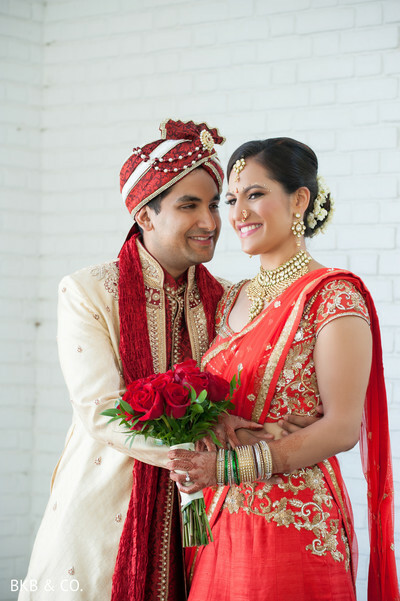 He gasped in pure delight as Kiran made her way gracefully down the aisle, and their poignant vows struck a chord within their adoring guests. 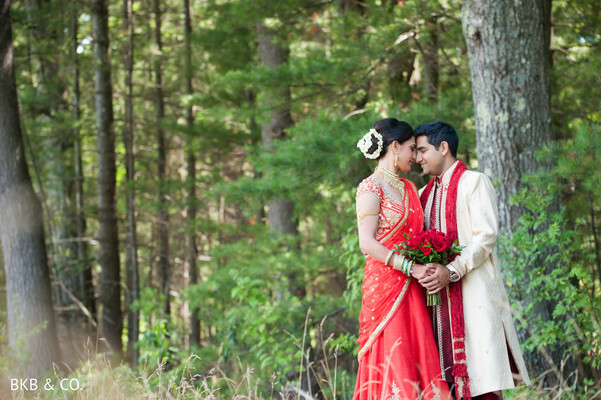 BKB & Co. captured a number of gorgeous portraits of the couple in the woodsy yet elegant surroundings, and you can view all the beauty in the complete gallery. 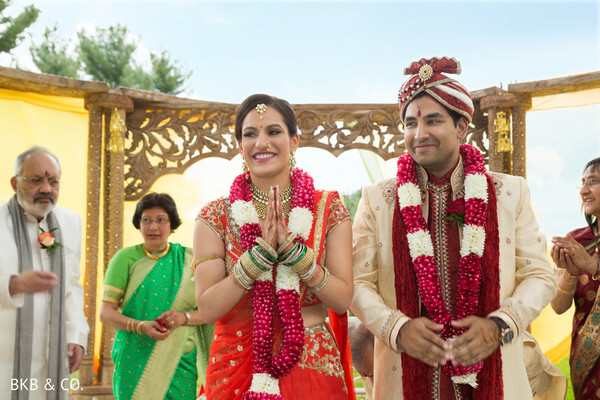 When we return, we’ll take you inside The International Golf Club and Resort for Kiran and Gopal’s sophisticated reception bash!